Although not many people are aware about it, the rock and metal scene in Bhopal has been around for a long time and has seen many great bands who made great music. Today we are featuring the top 10 bands from all time who have been a part of the Bhopali rock and metal movement. At least one original member of the band must be from Bhopal. The band must have (had) a jamming location in Bhopal. 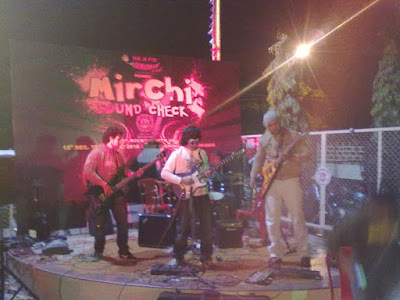 The band must be a part of the Bhopal's scene till today, or the day they disbanded. Bands who shifted their base do not count. Judging the bands on how they influenced people in their age, how well their music stands today and according to the standards at the time when it was released. We are starting this list with a very strong entry. SteelRush was active in the 2010-11 era. The original members included Ateesh Tiwari, Kunal Bindra, Aham Saxena, Shikhar Shrivastava and Varad Tiwari. They were a melodic rock band who were one of a kind back then. Their influences included Poison, Danger Danger, Bon Jovi etc. IOD or Invocation of Death was one of the early Death Metal bands which hailed from Bhopal and also one of the first bands to include harsh vocal styles. Their sound was largely influenced from old school death metal bands like Morbid Angel, Death etc. The original members included, Navneet Yadav, Malcolm Rodrigues, Neelabh Pandey, Amijeet Singh and Palash Khare. It was one of the first music "festivals" in Bhopal at the BHEL open auditorium where this band played for the first time. It was almost the ending of the event, everyone was exhausted, when a new tune reached their ears. It was "Cabbaged" by Rotary Abstract and the Infected Coffin. Everyone was stunned listening to this song. The original members included Inderjeet Singh, Apoorv Chouhan, Shorya Bhattacharya and Tarun Shah. They played songs of bands like Extreme and Whitesnake. If they were active for some more time, they would have made it much higher in this list. Kicking off our list further is one of the most beloved bands from the city. Deadsky was a melodic death metal band which hailed in the 2011-13 era. Deadsky performed covers of bands like Lamb of God, Kalmah etc and a wide variety of originals. The members included Anam Uddin, Lakshya Nair, Ruchir Shukla, Ankit Kujur and Divyaraj Bhatnagar. Here's the band that started it all. "Fools don't understand Rock 'n Roll", as their motto, they were one of the earliest bands in Bhopal from the 2006-08 era. They were also the very first band to record an album. Now most of the original members have left the city, and while some have left the country, they set a great example for generations to come. Coming forward to modern times, Ferryclock Yarns is a band who made its debut in 2014 with a unique experimental sound set. They have released two originals till now, one of which got featured on MTV Indies. The lineup consists of maestros from the early scene, namely Shwetang Shankar, Yash Vasania and Samar Mehdi. They quote Indian Metal as their genre. Lal and the People is the first band to play Blues in Bhopal, a genre which very few people in the city were into before these guys played. Lal and the People were also featured in an MTV show "Ray Ban - Never Hide Sounds" with Soulmate. Fronted by Rohit Lalwani, this band also consists of Gaurav Khanna and Aham Saxena. Here's the band everybody was waiting for. Elemental single handedly took the Central Indian music scene to national borders. They have played in numerous gigs and concerts throughout the country alongside bands like Demonic Resurrection and Zygnema. Considered one of the the most active bands today, these boys have done it with hard work and death metal spirit. Elemental is Anchal Bhargava, Aman Sharma and Divyaraj Bhatnagar. One of the earliest bands on this list which is still active, Acrimony has gone through all these years to become the masterpiece it has become today. Their EP, "False Vacuum" was critically acclaimed all over the country and beyond. They have performed in numerous concerts and gigs and have released many great originals. "Can't Sleep" and "Recede to Death" are a couple of my personal favourites. Many of you might have guessed it till now, who else could it be. 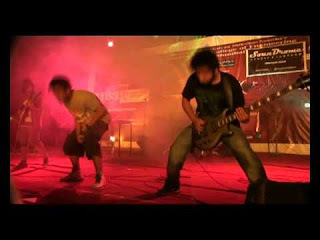 Inferno have been one of the founder bands of the Bhopal rock hub. With their Rock 'n Roll and Alternative sound set, they set the standards high for the bands to follow. Their track "Freedom" became the maiden song from Bhopal to make it to the top 10 of the Myspace music charts. Inferno's music and stage presence still influences other enthusiasts from the city to soar high. Agree with our list? Did your favourite band miss out? Do let us and the other readers know in the comments section below. A great list of top 10 bands from Bhopal! Simply love the music!!! Will definitely be spreading word about these amazing singers! !